Have you ever loved the look of your old gears and audibly groaned when a new set came out and looked absolutely horrendous? 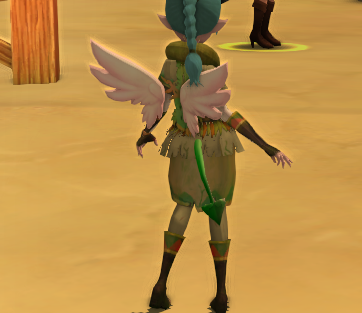 Do you ever feel nostalgia and wish you could look as cute as you did as a noob? Have you ever wished you could use your old gear as a costume instead of swapping your gear just for the appearance? Have you disliked your new gear so much that you seemed to have an allergic reaction to wearing it? uughh what happened to my tail!!?? Well good news! A new NPC named "Leprechaun" has appeared with an ability to help you. 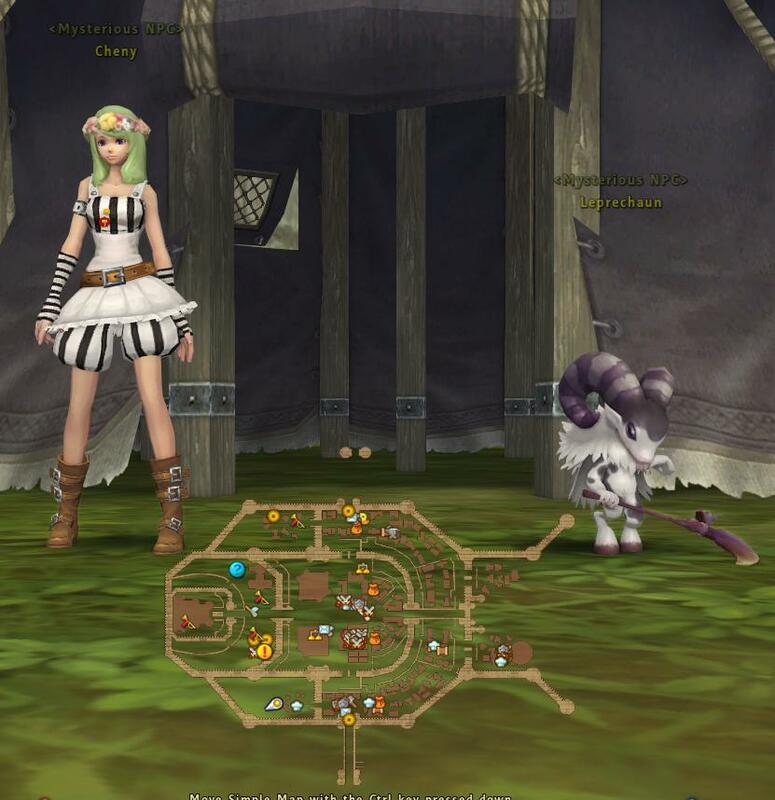 Cheny has also appeared selling several new appearance items too! Transmogrification takes the appearance of a piece of gear and places it on the target. If you are familiar with refine transfer tickets, it is a similar concept. The Appearance item will be destroyed to place the appearance on the target item. Only the appearance is effected. No stats, runes, hones etc will transfer over so proceed with caution. ?You will notice that there is a new currency called D-Diamonds that is used in this process. These diamonds are available from a few new quests and are available for purchase in the Kafra shop. For transmogrification, the zeny price is determined by your target item. The D-Diamond price always remains the same. There are a few things pay attention to when transmogrifying your gear. The items used for transmogrifying have restrictions. Example: A rogue cannot change the appearance of their daggers to look like a bow. You can only use items of the same type and material to transmogrify. The only exceptions are Noel Sticks/Scythes and the Capture Mallet they obtain in quests. There are a few new Vanity items available from Cheny in her Snowflake Box. The boxes drop a 5 piece set called a "Transmogrification Costume" to use as an appearance on your gear. Note: Although this is called a "Costume" Box, these items can not be equipped in costume slots. 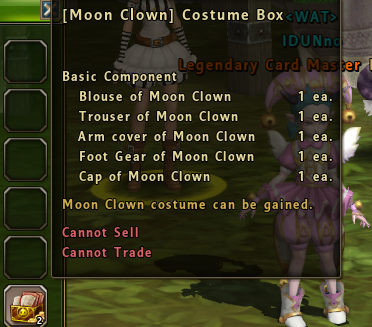 Cheny is also giving new REAL 5 piece costume sets as well which may cause confusion. 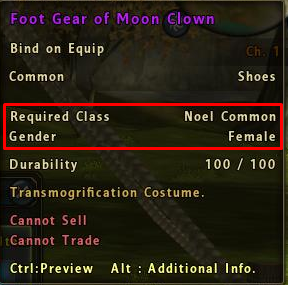 These new items have "Required class" (Noel Common and Human Common) and Gender on them. Please take note of the gender while transmogrifying your gears. If the appearance item has a gender it will be transferred over to your gear. If you use the appearance of the opposite gender, you will be unable to equip your gear. A way to remove this, is to transmogrify again over this appearance with something else that is unisex or your own gender. Note: These requirements are only seen on the new sets from Cheny, not gears you buy from NPC or acquire from quests. You will notice there has been a change to the previews of both gear and costumes. "Dyeable" and current colors have been moved to a new Alt info popup. Some items now have different parts to chose from when dyeing. You can check this in the dye screen and preview the areas from the dye screen. 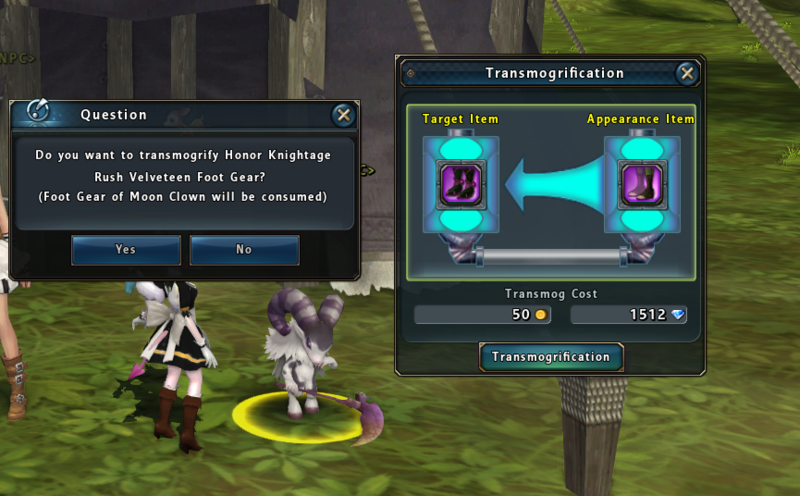 Able and Unable to Transmogrify refers to the ability of using that item as an Appearance Item. If an item has a new appearance, it can not be transferred to another item. You will be able to replace the current appearance of it if you wish to change it again.